WINNER: Best Lighting Design - Dunedin Theatre Awards 2018 Afterburner presents a light and performance installation pushing the boundaries of seeing. Using low level light, projection and sound, Afterburner awaken the possibilities of the unseen, imagining realms beyond sight, just on the verge of seeing. 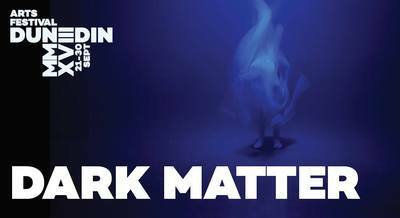 Dark Matter is a visual experience changing how we might see space and light as well as challenging the senses to enter into the experience. Afterburner comprises of longterm founder and award winning lighting designer Martyn Roberts, joined by Jeremy Mayall (sound) and dancers Katherine Kennedy and Megan Wilson. Afterburner have created installations and theatre since 2001 in Wellington, Dunedin and globally. Each project is unique with different artists coming together for each event. Dark Matter will be Afterburner's 10th project.